Good morning from icy Hamburg and welcome to our first Daily FX Report in 2010. We hope you enjoyed some holidays, if you had some, and wish you a successful year of trading. Today, we will start to report about the USD and some economic data from the U.S.
With the beginning of the New Year, the USD traded near a four month high against the JPY and reached 92.88. The USD rose to a one week high against the EUR before reports this week may show that the U.S. manufacturing will grow for a fifth month in a row and factory bookings also increase. The EUR dropped to 1.4285. Also versus the GBP, the USD gained and touched 1.6090. In the U.S. rose the USD Index as much as 0.4 %, the most in more than two weeks. The prospects for a better manufacturing and an improved job market stoked the speculation that the Federal Reserve Bank could increase its target lending rate from zero to 0.25 %. Today, the U.S. Institute for Supply Management will report that the factory index may rose in December to 54 from 53.6 last month. A separate report from the Commerce Department tomorrow forecast that factory bookings increased 0.5 % in November after rising 0.6 % in the previous month. With the ending of December, the EUR rebounded from its upward trend against the GBP and has been trading in a bearish trend. 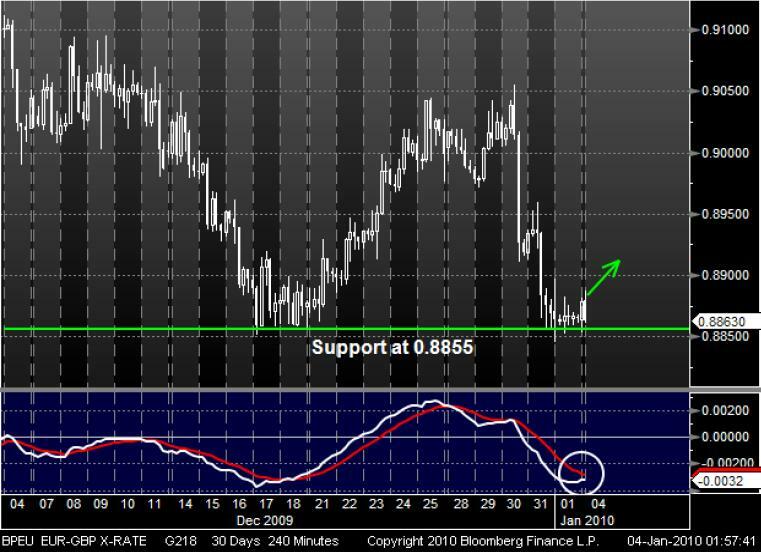 Recently, the currency pair reached its support around 0.8855 and maybe it recover like in the middle of December. At that time, the EUR climbed for two weeks and could cross the 0.9000 level. Furthermore a crossing MACD through the signal line from below may indicate a pull back and an increasing trend for the EUR. 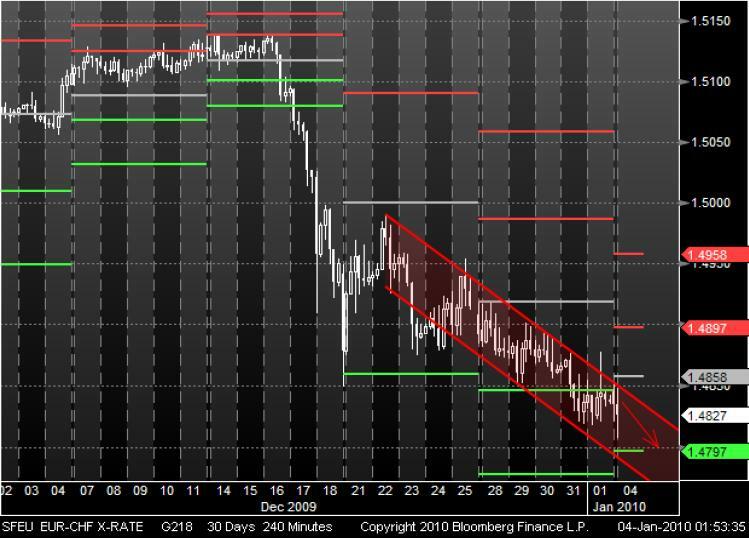 Since the middle of December, the EUR has been trading in a bearish trend channel versus the CHF. During that time, whenever the currency pair reached the upper line of the trend channel, the prices rebounded. At least, the EUR broke its Pivot point and it seems that the prices will continue the bearish trend. But it remains to be seen if the EUR will break its next support at 1.4797 like a few days ago.